A Sicklerville man is in jail after he allegedly ran from an Atlantic City car stop and tried to ditch a loaded handgun. Keshaun Bunch was a passenger in the car that Officers Daniel Arra and Christian Ivanov pulled over near North Carolina and Pacific avenues at about 10:30 p.m. Wednesday, Sgt. Kevin Fair said. While talking with Bunch and driver Stefano Santiago, the officers could smell marijuana coming from the vehicle, according to the report. Bunch ran from the vehicle, with Arra chasing him. Bunch then allegedly threw a loaded handgun to the ground, and then jumped over several fences as he continued to run. Arra and Officer Peter Calabrese caught Bunch and put him in custody. He was found with 118 bags of heroin and 49 oxycodone pills, Fair said. The handgun was also recovered. 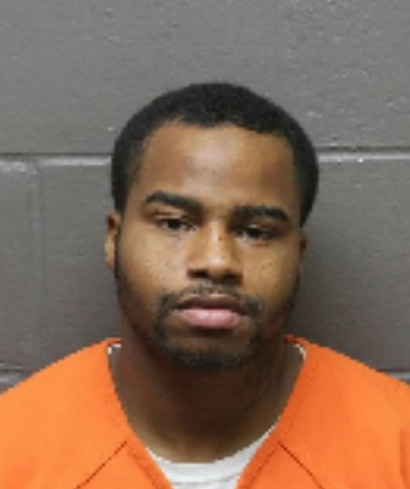 Bunch, 28, has previously served prison time for drug and gun charges out of Camden and Atlantic counties, records show. He is now jailed on charges of obstruction of justice, resisting arrest, possession of a controlled dangerous substance, possession with intent to distribute, possession with intent to distribute within 500 feet of a public zone, possession of a prescription legend drug, unlawful possession of a weapon, possession of a weapon for an unlawful purpose, certain persons not to possess a weapon, possession of a weapon while committing a drug offense and possession of a defaced firearm. Santiago, 23, of Newfield, was found in possession of small quantities of cocaine and marijuana. He was issued a summons on two counts of CDS possession and motor vehicle violations.